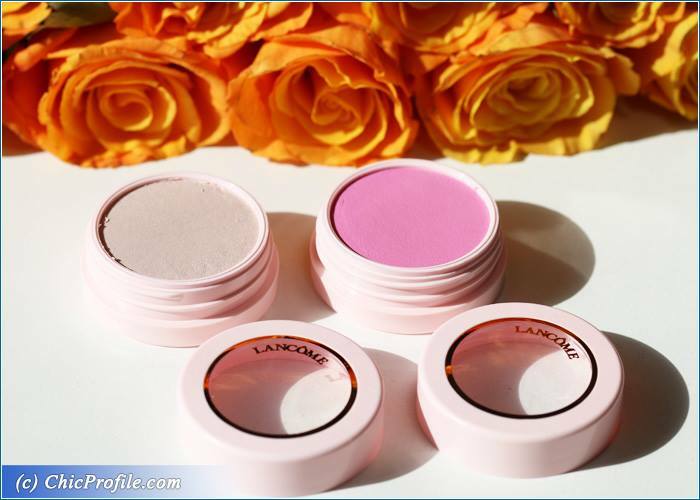 As you know from my last week’s article Lancome just launched three Summer 2017 Blush Subtil Creme shades (promo photos) in a very limited edition. I mean if I wouldn’t have stopped by Lancome’s counter at Selfridges last week, I could easily missed out on these babies as they are not available online. I was so excited to see these up close and since the colors were so appealing (swatches) to me I had to try them right there at the counter. I gave you a quick peek right then on Instagram but since more than one week has passed since I’m using the new creme blushers, here goes my review. 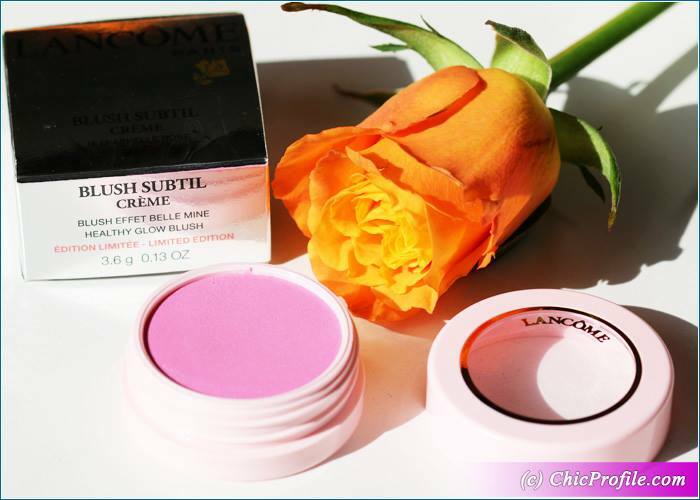 Lancome Blush Subtil Creme ($32.00 / £23.00 for 3.6 g/ 0.13 oz) comes in three shades, coral, pink and a highlighter and I bought the last two of them. They are new and limited edition shades, specially released for summer 2017. They all come in this girly, more adolescent packaging, very resembling to Color Pop eyeshadows. The light pink, plastic packaging doesn’t look luxurious at all, I have to admit that but I do like it overall since it has the transparent top so I can see the color inside. 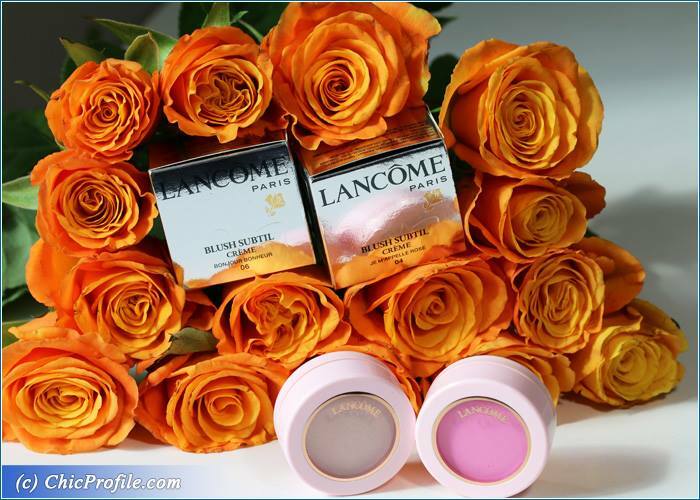 I would have expected something more fancy from Lancome when it came to packaging but I know they choose almost the same thing for their Glow Subtil Silky Creme Highlighters (swatches, info). 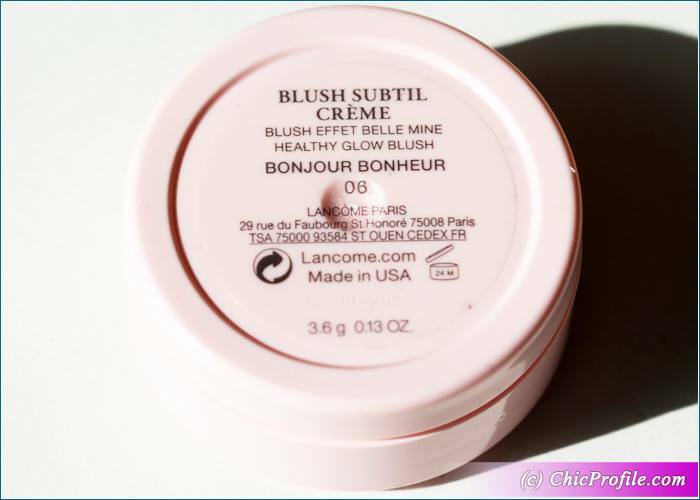 Lancome Bonjour Bonheur (06) Blush Subtil Creme is a light-medium, baby pink with blue undertones and a matte finish. 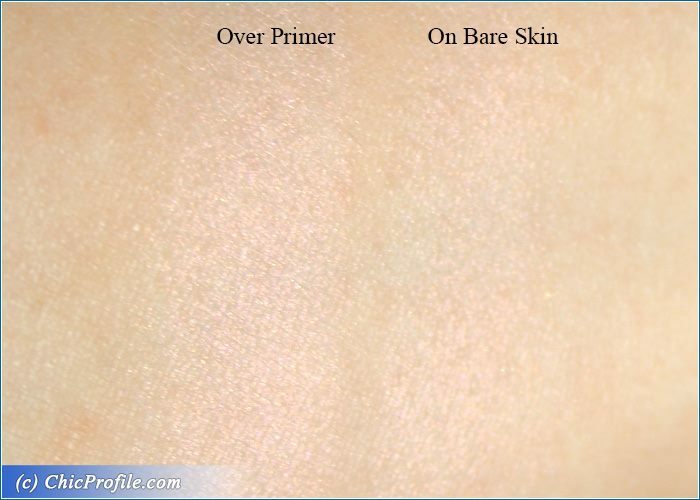 It has a fairly good color payoff, being slightly easily buildable up to a medium coverage and definitely looking more vivid applied over a base or foundation. I do like the super creamy and airy consistency, that is just a pleasure to feel it on your fingers. 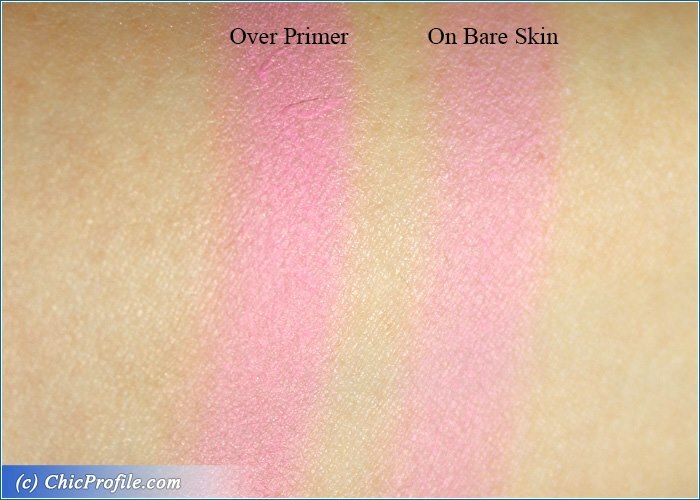 I basically swatched this product way to many times, just so I can feel its amazing texture. It’s more like a creamy gel, that’s very easy to work with and apply. I personally prefer to apply it with my fingers and I guess this is the best method for this formula as my brush hardly picks up any product. 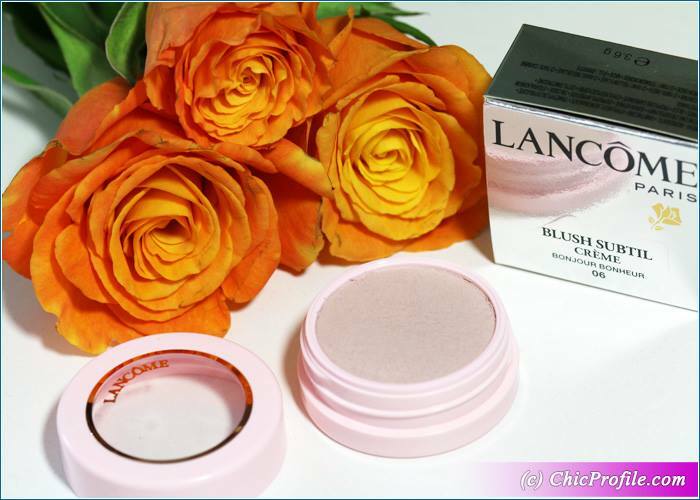 Lancome Blush Subtil Creme can be used not only on the cheeks but also on the eyelids as a creamy eyeshadow. I used it both ways as I liked it just as much. It comes on very easily and gently across the lid. I do like to apply an eyeshadow primer otherwise it will start to crease after two hours wear as I do have oily lids. I also did applied a powder eyeshadow on top of it to intensify the color and it looked beautiful. I do have to say that this color is not very pigmented and opaque when applied and I don’t think it was even meant to be very rich and intense. 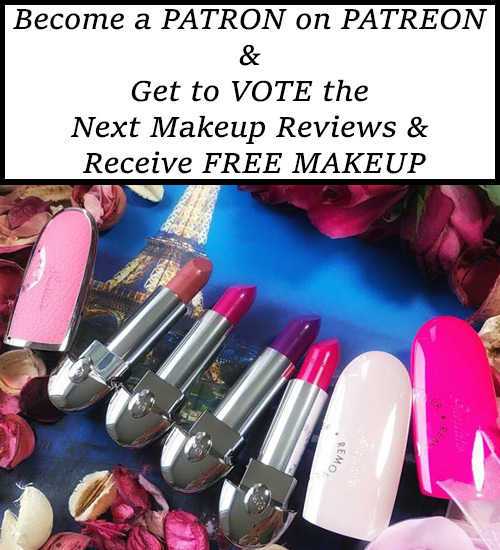 It’s more like the kind of pink that comes on gently, leaving a subtle hue and giving you that instant fresh and more youthful look. I basically like using this color for an everyday makeup or just a casual day when I don’t need a full face makeup. 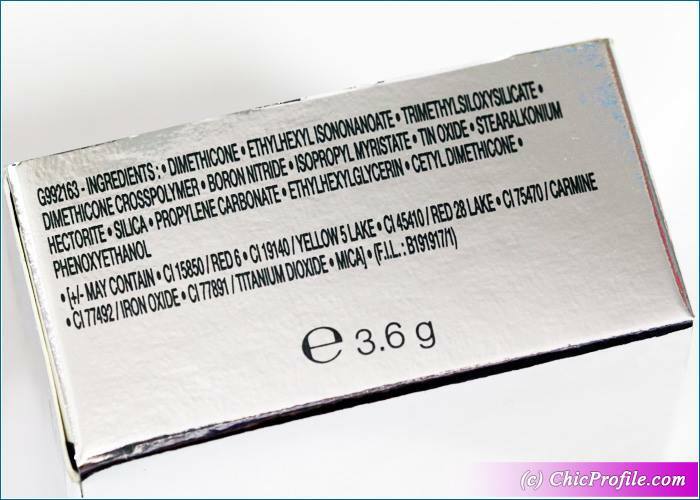 It is very easy to apply it with your fingers on your cheeks and it’s easily blendable. Goes wonderful on light and medium skin tones but I think darker skin tones would want to intensify the color a bit more. 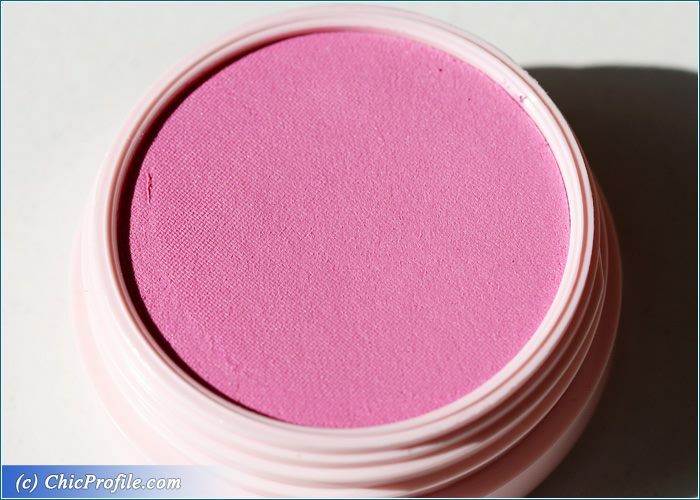 It has a soft matte finish which I do love as it doesn’t emphasizes my pores when I wore it as a blusher. I had around five to six hours wear before the color started to fade. 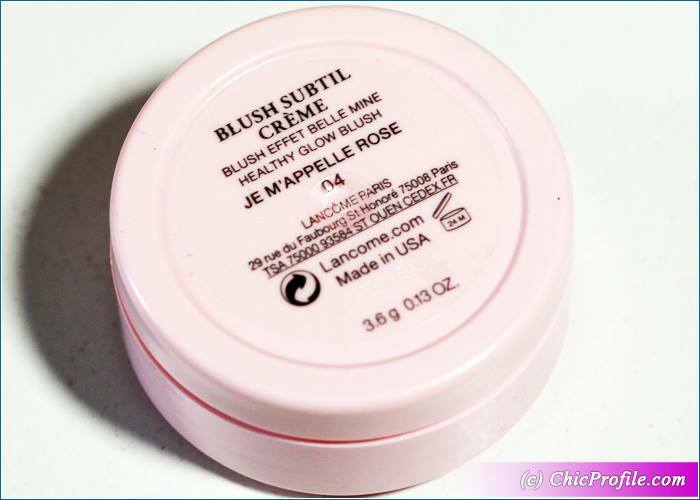 Lancome Je M’Appelle Rose (04) Blush Subtil Creme is a very light, warm peachy-pink with fine gold shimmer. It has a sheer coverage, more a like a luminous touch of light. I do like the color and especially its reflections so it goes wonderful on my light skin tone, but it could be a little to sheer for those with darker skin tones. 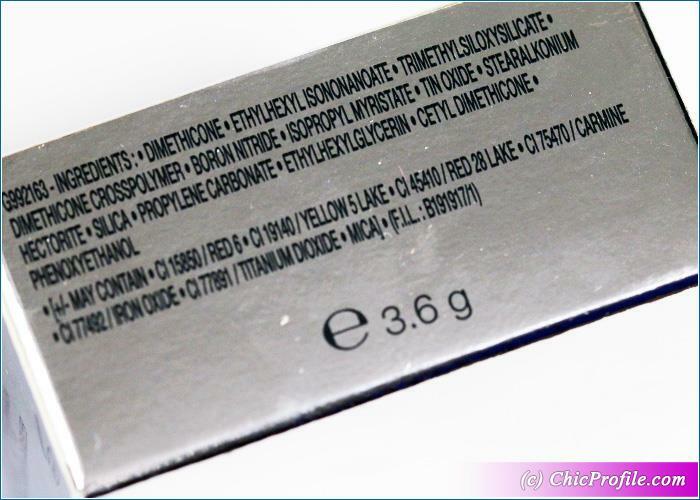 It can be slightly buildable but it will never look to intense or with an opaque coverage. 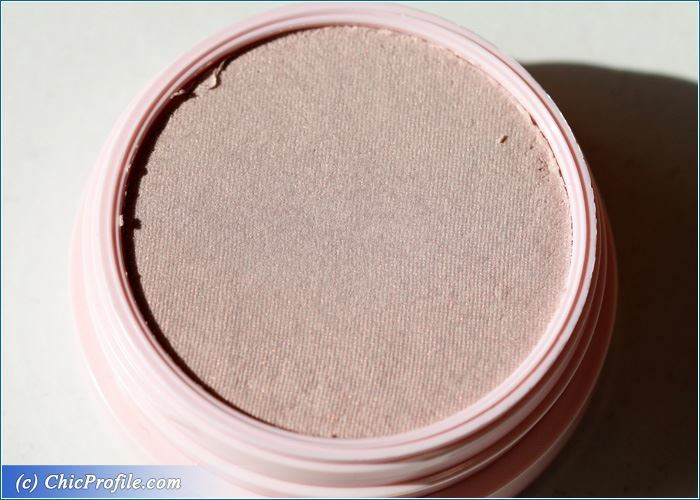 Is more like a natural highlighter that will give you a gentle glow and luminosity but nothing to intense for an evening makeup for example. 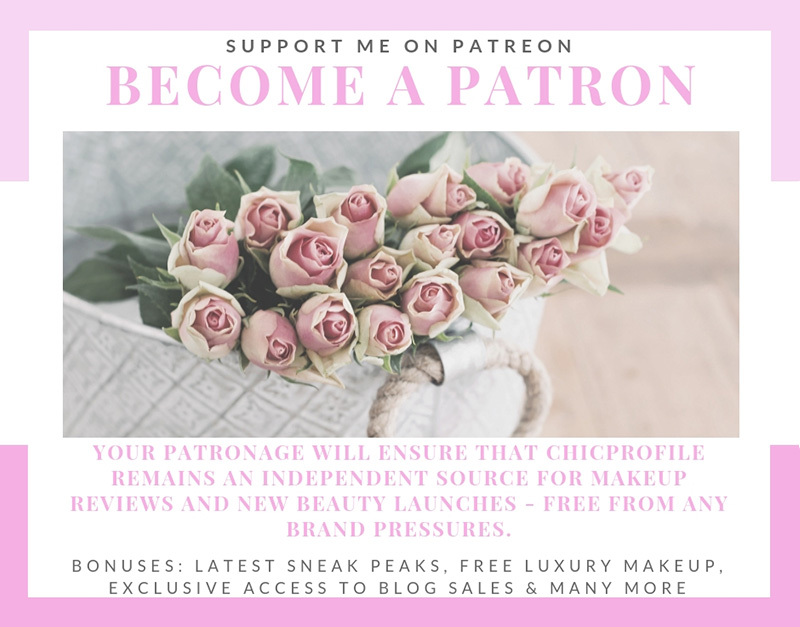 I do like to wear it on the apples of my cheeks blended with my blush but also as a cream eyeshadow on my brow bone or on the inner corner of my lid to add luminosity. It is a very gentle highlighter so for fair and light skin tones is perfect as it will be impossible to over do it and look like a disco ball. The key is to apply it with your fingers and blend it easily. I noticed that once I apply it over my setting powder it tends to look cakey so I need to be really careful and gently pat it on without blending it too much.